We offer an honest and conscientious service to residents and commercial clients in Maidstone and in the Medway and Sittingbourne, Tonbridge and Ashford areas. Check our Customer Reviews for proof of our reputation. For your peace of mind, we're vetted by UKLA, CRB/DBS police checked and you can read our customer feedback on Google Local Review and Checkatrade websites. We specialise in non-destructive methods to gain entry without causing damage to your property. Drilling out locks to get you back inside is always a last resort and never our first option. If you find yourself locked out of your premises call ­01622 ­410057 for an instant response. When you need a trusted local locksmith in an emergency it's good to know that we are just a phone call away, thieves don't keep office hours, neither do Maidstone Locksmiths, we're available 24/7. Our free callouts and free fixed price quotes ensure you never find any nasty surprises with the bill. We can arrange non-emergency services such as surveys, warranty and contract work. 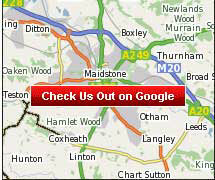 Maidstone based, we service Kent from Ashford to Chatham and Tonbridge to Sittingbourne. The Customer Reviews page shows the most recent independent feedback from our many clients. 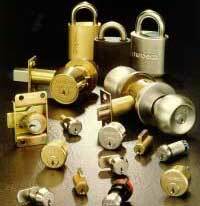 We guarantee our services, you can count on us to fit only safe and approved, top quality locks. Remember - Call Out Free of Charge - Quotation Free of Charge offered at a FIXED COST price. Even more to the point, if we can't solve your problem, you won't owe us a penny. So, if you feel the need to improve on your security, start by calling on Maidstone Locksmiths. Our repeat business proves our claims aren't just sales talk and our competitive prices are standard. punch this number into your phonebook contact list now, we hope you'll never need it but, if a friend or neighbour needs a reliable locksmith, you can pass this number on with full confidence. ­01622 ­410057 summons help in Maidstone, Medway, Sittingbourne or Tonbridge.